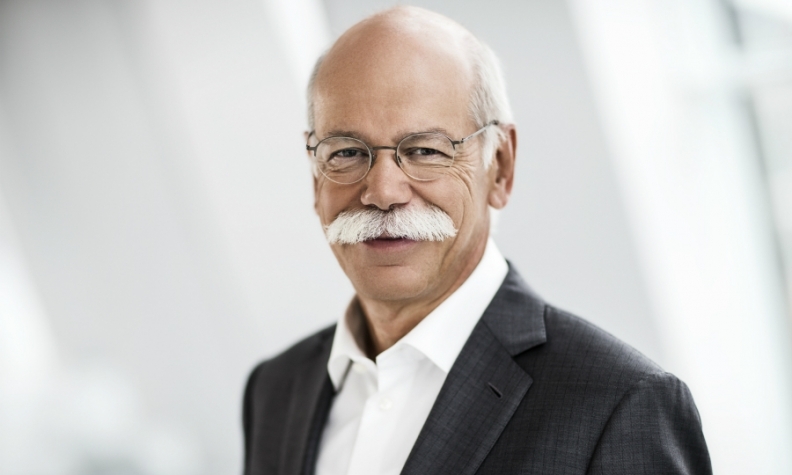 Zetsche: "The three most important elements I think are design, product portfolio and gaining a better understanding of China." Daimler CEO Dieter Zetsche says there are three keys to Mercedes-Benz's global success, which has put it in position to finish 2016 as the world's No. 1 premium carmaker. He shared those while also explaining why he's bullish about electric cars, autonomous vehicles and the diesel engine in a recent interview with Automotive News Publisher and Editor Jason Stein, Automotive News Europe Editor Luca Ciferri, Staff Reporters David Undercoffler and Ryan Beene, and Correspondent Christiaan Hetzner. The last time we spoke, you said that becoming No. 1 in volume was not your final target but was a result of doing a good job. So the job you've done has been remarkable. You're reaching the target in advance of your original plan. What went particularly well? There are certainly many elements to that, but probably the three most important elements I think are design, product portfolio and gaining a better understanding of China. These are the strongest levers, but definitely not the only ones. How important has design been to your success? Design is very high on my priority list. That's why I spend a lot of time in our design dome. Plus, I'm convinced that with Gorden Wagener [Daimler Senior Vice President of Design] we have probably the most talented and capable head of design. Mercedes has regained ground in China. Are things OK there or does Mercedes still need to grow compared with its German competitors? Well, based on growth rates in the high double-digits for a couple of years now, I would at least call that "OK." We are running more or less even with BMW on a monthly basis -- there are months where we are a few units ahead, others where they're a few units ahead. It's quite an accomplishment as we've come from a time when our volume was about half their volume. Ultimately, the main deficit was probably a lack of understanding of China. We've fixed that. You said that by 2025, 15 to 25 percent of Mercedes' sales will be EVs. How will Daimler balance such a substantial investment in EVs with what it will need to spend on upgrading its internal combustion engines? Of course, we have to continuously become more effective in our spending and we have to prioritize. But even if we are correct with that forecast that means, conversely, that 75 to 85 percent of our vehicles will still be combustion engine-driven, plus plug-in components. And if we are not totally competitive with these products the whole equation won't work. So we cannot slow investments in the latest technology in combustion engines, either. But that's the character of any transition into a new technology. And it doesn't end with electric cars. Whether it be autonomous vehicles, connectivity or car-sharing, you have to invest to be prepared for the future. But that’s exciting and that's the world as we know it today. To me these developments are not happening just for technology's sake but because you can offer something better to your customers, which ultimately is the basis for a company's future success. I'm bullish about these forthcoming changes. MAIN CHALLENGE: Balancing huge investments in EVs without sacrificing on upgrades to Mercedes' future internal combustion engines. Based on your 2025 goal you could be making 300,000 to a half-million EVs a year. At that volume would you need to build batteries in-house as well as purchase them from suppliers? These unit figures are based on our current volumes, but we expect we will continue to grow. We have a battery factory in Kamenz, [Germany], and we will build all our batteries there step by step. The intelligence of the battery does not lie in the cell but in the complex battery system including cells, battery management, cooling, etc. We were one of the first automakers to develop and build its own cells. From a performance point of view, they were excellent, but they were not cost competitive. Today, the cell is almost a commodity good so the cost is going down fast. How much of a cost reduction have you seen for the battery pack? Not long ago the per-kilowatt hour cost was above 300 euros. We can see 100 euros per kilowatt-hour on the horizon. Yes. With the introduction of the post-lithium-ion technology we see the next big breakthrough. It's not just the battery pack. It's the [cost of the] electric controls, electric motors and all of the other parts as well. All of these things are going in the right direction. So there are no plans to add in-house production even when the costs fall? Not for the cell. Politicians and unions are asking us to do that, but it would not make sense. We are doing some pretty serious research into what will be the next cell technology, and so are many other labs. Right now, however, nobody can tell which technology will ultimately succeed. What will Daimler's role be when it comes to the battery? Assembly of the battery remains a core competence for us. The battery is a very integral part of our new vehicle architecture developed specifically for electric cars. It is not a standardized, off the shelf product. Nearly all automakers are doing the assembly of the batteries in their own premises, including us, and we will continue to do that, but cells are not our business. Will Daimler make its own electric motors or does it make more sense to buy them from suppliers? We plan to continue developing our own motors and developing the entire electric powertrain system. We have a joint venture with Bosch for production. For the next generation we will have a new design, or concept, and rely on our strong supplier and partner network. To what extent is your EV goal for 2025 driven by global emissions regulations and to what extent is it driven by consumer demand? Regulations are a fact, but governments do not mandate what customers should buy. Ultimately, the competitiveness of your product is what affects customer demand. What is the future of diesel? Talking about Europe, we have just launched a new diesel engine, the OM 654, a very good engine, not only in terms of emissions. Today it fulfills the stricter emission limits planned for the EU as of September 2017. We started to develop that five years ago independent of any current discussions, which is proof that diesel engines today can, for practical means, be nearly as clean as gasoline engines while continuously offering 15 percent better fuel efficiency, which means a better CO2 footprint. It would be stupid to forgo this opportunity. So there's no downside coming with leveraging this opportunity of better fuel efficiency, and that’s why we will continue to sell them. And as far as the market is concerned, within the last year -- the whole story started at the Frankfurt auto show a year ago -- we, and the same applies to BMW, have not seen one basis point of reduction in customer demand as far as the take rate of our overall cars in Europe. So the customer looks at it just the same way as we do. As the investigation into emissions cheating plays out Volkswagen Group and other automakers, executives seem to be more at risk of facing charges for what their companies did. How is this affecting the highest levels of companies such as Daimler? This is not limited to the auto industry or to the diesel. We had a period of time when more liberal forces prevailed. Since the global financial crisis [of 2008-2009], we have seen more regulatory involvement and action. Finding the right balance is ultimately more a matter of ethics and values than only a question of regulation. I try to find the right direction by looking in the mirror in the morning and the evening rather than memorizing all the paragraphs every day. But, of course, an organization can't survive today without looking at these paragraphs every day. This is a much more relevant topic today than it used to be. To some extent that is a good thing, but like with everything, when the pendulum swings there tends be an overreaction. If Volkswagen Group spins off its heavy truck business, Daimler would be the only automaker that still produces both cars and trucks. Does Daimler believe that it needs to be in both sectors, especially since the move toward autonomous vehicles brings these two worlds closer together than ever? First of all, it's definitely not a need because there are a lot of companies that don't do both. Secondly, we had times in our company when the leadership pushed for synergies across the divisions, which produced the opposite results. Today, we are all convinced that serving the customer – be it a truck customer or a car customer – is our No. 1 priority. If it supports that purpose, we can share technology or components. This has led to very good results. The V class, for example, uses many components from our C class with tremendous success, none of which was forced. It came about because it was a win-win for all parties involved. Also, there's a lot of interaction in highly relevant areas such as autonomous driving, connectivity and electric components. We are asking ourselves every day: How flexible should the whole system be? What steps need to be taken to improve this flexibility? I think there are benefits [from having both businesses under one roof], and it's up to us to maximize these benefits. If the supervisory board asked you to extend your contract again, would you be open to that? I was asked about the successor of the new hypercar we just announced today, and I said, "Well, perhaps let's talk about the new chapter we just opened and not about the sequel." My contract extension starts in January 2017, so I think it's a nonissue at this time.